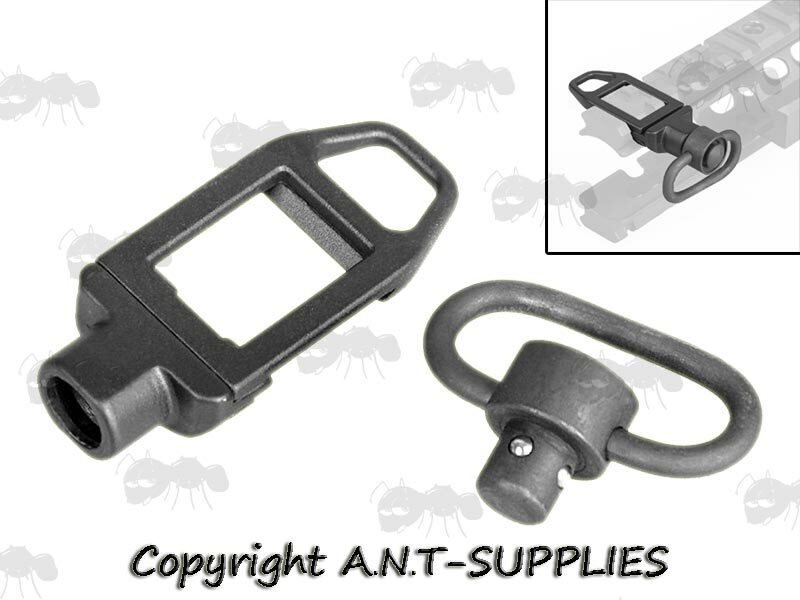 Also available ~ QD rail attachment sling points. Will sit 15mm high from top of rail. No moving parts ~ no rattle. 32mm wide x 6mm high slot. Will sit 13mm high from top of rail. Will sit 5mm high from top of rail. All steel with rubber coated loop. 40mm overall height from top of rail. Will sit flush with the top of rail. 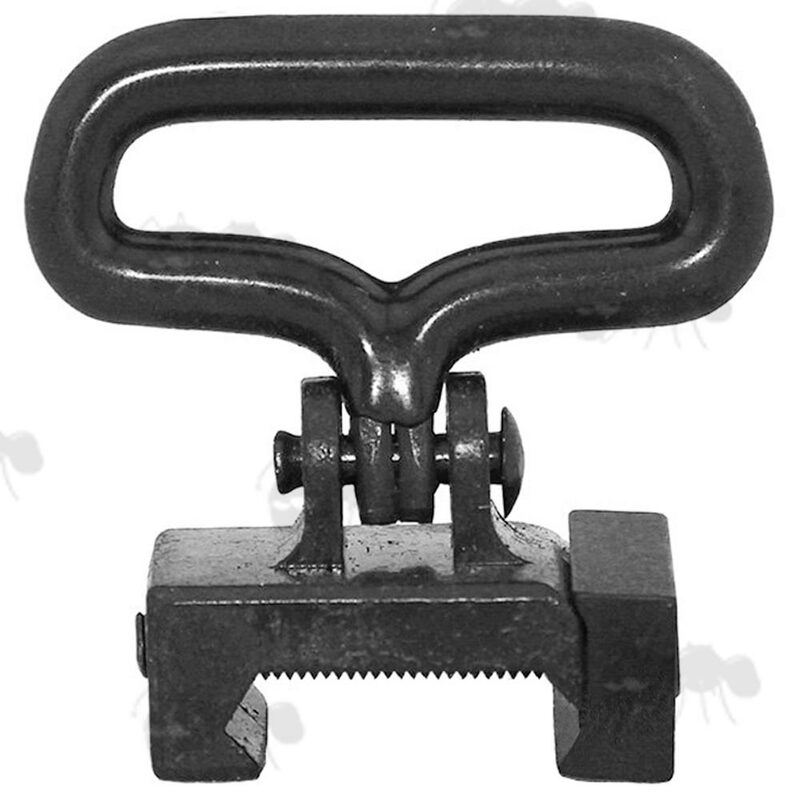 For picatinny / stanag rails. 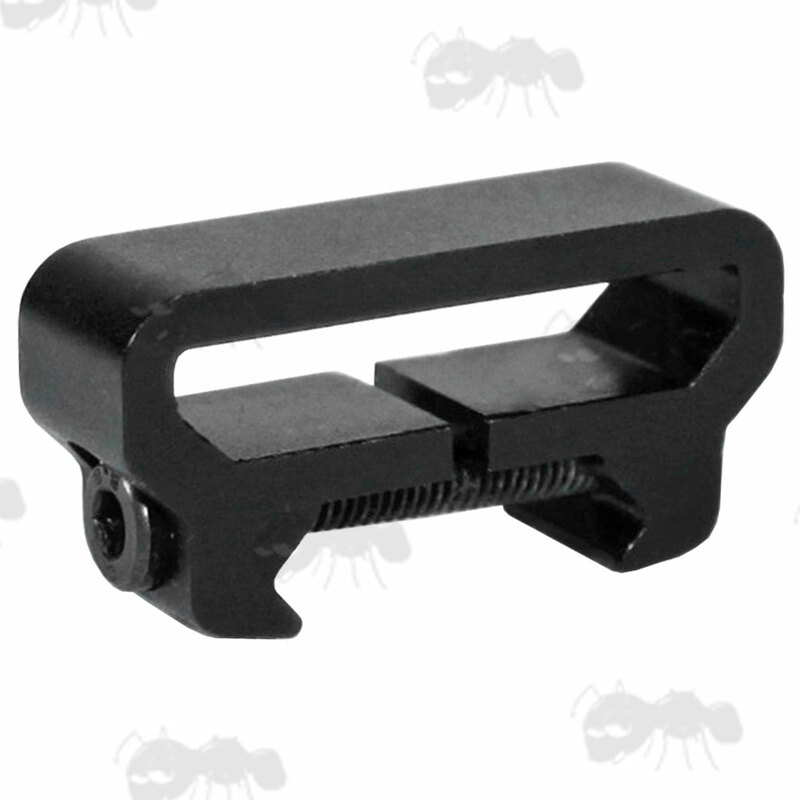 New design low profile mount. Please note: HK style clips wont fit the inline version and some HK style clips will not fit the other models without an adaption. 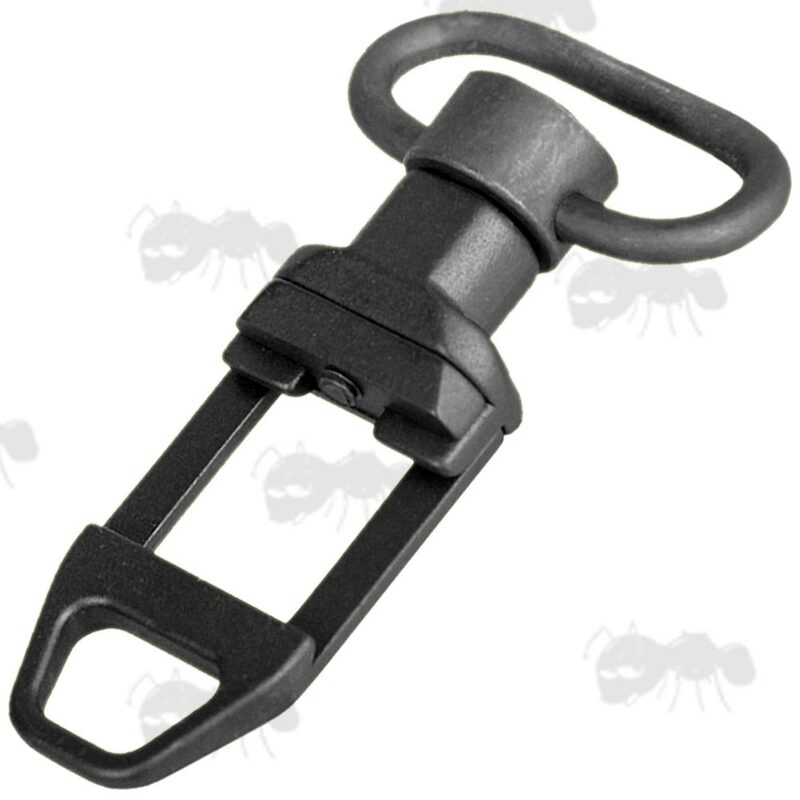 We also have bipod attachment points available. 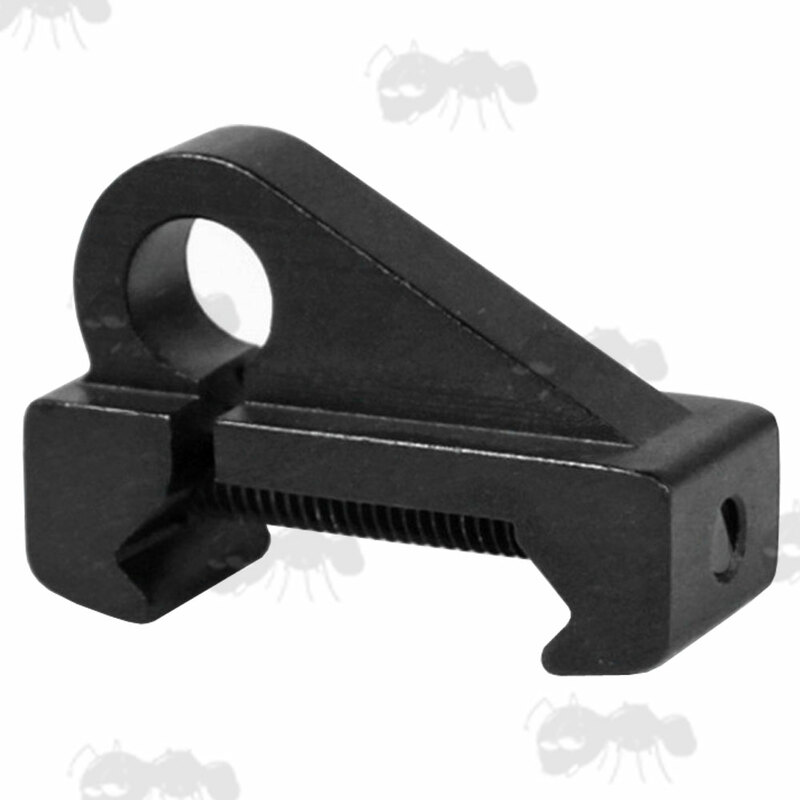 Also available ~ sling attachment points for MOE, KeyMod and M-Lok handguards.